» Click here to see all events. Wednesday, May 22 – Sunday, July 28! Stop by any Mentor Public Library location beginning Wednesday, May 22 to sign up and get your game sheet! For every hour you read or are read to, you’ll receive one raffle ticket for a chance to win one of our awesome grand prizes! Plus, for every 5 hours that you read (up to 15 hours), you’ll receive a different prize! If you read 20 hours, you’ll receive a Golden Ticket that will let you enter for a chance to win one of two $50 Target gift cards! The last day to receive prizes and raffle tickets is Sunday, July 28th. Bonus! Complete the musical BINGO activities listed on the reading game sheet and win a prize! Last to receive a prize is Sunday, July 28. New this year! Kids will receive a button for each program that they attend (not including story times). Kids who collect 5 buttons will receive a lanyard to keep their buttons on! Summer Reading Kick-Off with The Chardon Polka Band! Join us on Wednesday, May 22 at 6:30 PM for a live show featuring a live music performance by The Chardon Polka Band! 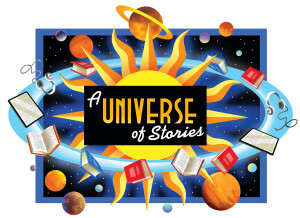 While at the show you can begin registering for Summer Reading! Bring your own lawn chairs, blankets and snacks, and take party in our fun story book walk challenge for a button. 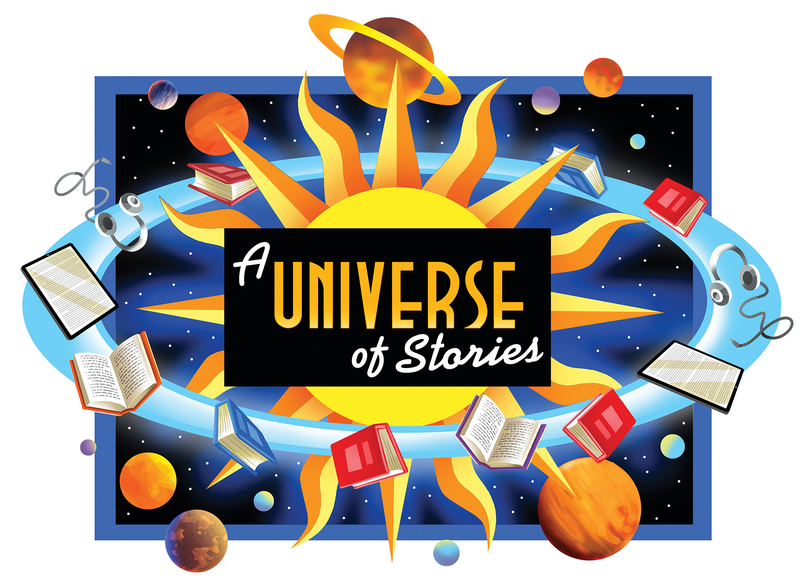 Join us each Monday through June and July at 1:00 PM on the Read House Lawn for some fun activities pertaining to a Universe of Stories! Each week staff will introduce a different project that is out of this world! Open to all ages. No registration is necessary. View and/or download our summer reading flier here! It has a whole bunch of fun programs for kids to enjoy during the summer!